As the Trump revolution rolls into D.C., Republicans “need to seize this moment and come together like never before,” House Speaker Paul Ryan said on Nov. 14 as Congress reconvened. 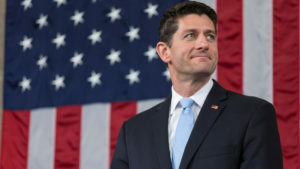 “We cannot be timid about this: the country has voted for change, and we must deliver,” Ryan said. Closed-door House GOP leadership elections were slated to take place on Nov. 15, and Ryan was expected to prevail and return as speaker despite some rumblings of discontent among conservatives. Ryan would then need to be elected on the floor of the House by the full complement of Republicans and Democrats once the new Congress convenes in January. As the House came back into session on Nov. 14, some 50 newly elected House members, and six new senators, were arriving in the capital to learn the ropes of their new jobs. Republicans lost only a half-dozen seats in the House and just two in the Senate, far fewer than forecast.